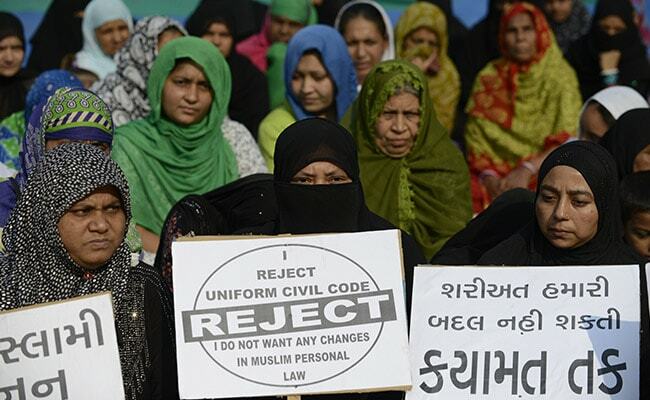 The Supreme Court by a majority verdict today ruled that the practice of divorce through triple talaq among Muslims as "void", "illegal" and "unconstitutional" and held that it is against the basic tenets of the Quran. New Delhi: The All India Muslim Women Personal Law Board and the All India Shia Personal Law Board today welcomed the Supreme Court judgement on triple talaq, terming it as a victory of Islam and Muslim women in the country. The decision, they said, has given new hope to Muslim women. "The Supreme Court decision is historic, it is the victory of women in the country. But more than that, it is the victory of Islam," said the president of the All India Muslim Women Personal Law Board Shaista Amber, who has been fighting for the rights of Muslim women. "This discriminatory arrangement is made by so-called religious leaders and it has harmed the lives of lakhs of women...the decision has given new hope to Muslim women," she said. Asking the government to enact a new law without harming the Sharia, she hoped that a new legislation will be brought without any pressure to ensure welfare and prosperity of Muslim women. The All India Shia Personal Law Board spokesperson Maulana Yasoob Abbas too welcomed the decision, saying it will help end harassment of Muslim women in the name of triple talaq. "There was no arrangement of triple talaq in the times of Holy Prophet...We want a strong legislation against triple talaq...A law similar to the one against the practice of Sati," he said. The All India Muslim Personal Law Board General secretary Maulana Wali Rehmani, however, refused to comment on the verdict saying, the board will sit together and decide on the future steps in this matter.